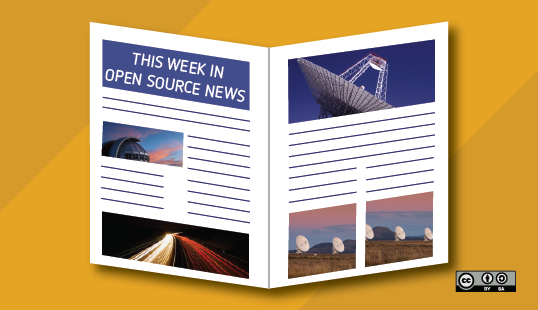 In this edition of our open source news roundup, we take a look at the Google and Sony Pictures Imageworks releasing OpenCue, The Linux Foundation launching LF Edge, six tips for jumpstarting open educational resources initiatives, and more. Google and Sony Pictures Imageworks have partnered to release OpenCue, an open source render manger for visual effects. OpenCue does not handle the rendering directly, but provides tools to schedule jobs in local and cloud-based rendering farms. VentureBeat’s Kyle Wiggers’s article provides an overview of OpenCue, its origins in Sony Pictures Imageworks’s internally developed Cue 3 rendering manager, and Google’s interest in leveraging its Google Cloud Platform to handle visual effects workloads. Because of Slingluff’s effort’s her college now has a successful OER initiative, and she provides six tips to others seeking to get involved with OER and build OER initiatives at their own institutions. Those six steps are: learn about OER, track what courses use OER and how much students save, get feedback from faculty and students, keep your eye on the big picture, speak up, and reach out. She provides plenty of details about how to accomplish those steps in her article, which also includes a handy infographic about the steps. Slingluff concludes by providing some sage advice: “There is no special ingredient or password that makes someone an OER advocate or sanctions them to support OER.” Like most things that fall under the banner of “open,” the best way to get started is to just get involved and go from there. Thanks, as always, to Opensource.com staff members and moderators for their help this week. Make sure to check out our event calendar to see what’s happening next week in open source.